Nokia's long awaited application and media store will feature 20,000 items at launch, according to a report by Forbes. In comparison, Apple's App Store began with just 500 apps (it now has over 40,000), while the Google Android Market debuted with just 50. However, it is not certain how many of the Ovi Store items will be S60 and Java apps for the company's 'mobile computers' and how many videos, TV shows and 'mobisodes'. 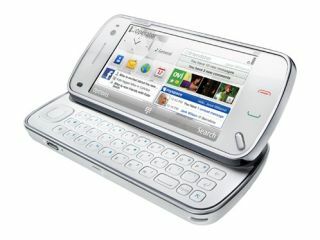 An Ovi Store app will come pre-loaded on Nokia's N97 flagship handset - other N-series and recent S60 handsets will be able to install it soon after its launch, which is expected this month. The Store will come with a personalised recommendation engine to help users find relevant applications based on their preferences as well as apps owned by friends and family. The Ovi Store will also offer localised content, using Nokia's location-sensing technology (Wi-Fi hotspots and cell towers as well as GPS) to present mobile users with apps specific to their town or city.